*Japanese pressing. 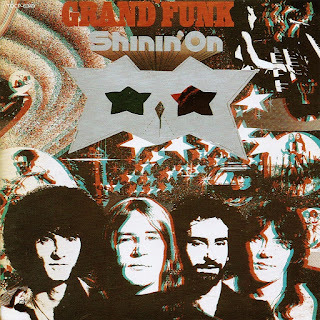 Manufactured by Toshiba-EMI Ltd.
After racking up their biggest success to date with We're an American Band, Grand Funk Railroad decided to keep a good thing going by retaining Todd Rundgren as their producer and continuing to push their sound in a pop/rock direction. The end result has its moments but is not as strong as We're an American Band. Although the songs are tight and benefit from a strong performance by the group, the material simply isn't as inspired this time out: songs like "Please Me" and "Getting Over You" are energetic but lack the infectious hooks and clever arrangement touches that would make them stick in the listener's memory. Shinin' On's best songs are the ones that became its single releases: the title track infuses its hard-driving, spacy rock groove with some surprisingly ethereal vocal harmonies and the cover of "The Loco Motion" turns this dance classic on its ear with a stomping beat and a screeching guitar lead from Mark Farner. Other tracks make up for their lack of hooks by experimenting with the group's sound in interesting ways: "Mr. Pretty Boy" is a creepy slow blues that features an atmospheric Mellotron backing and "To Get Back In" is a full-fledged soul song built on thick combination of organ and horns. 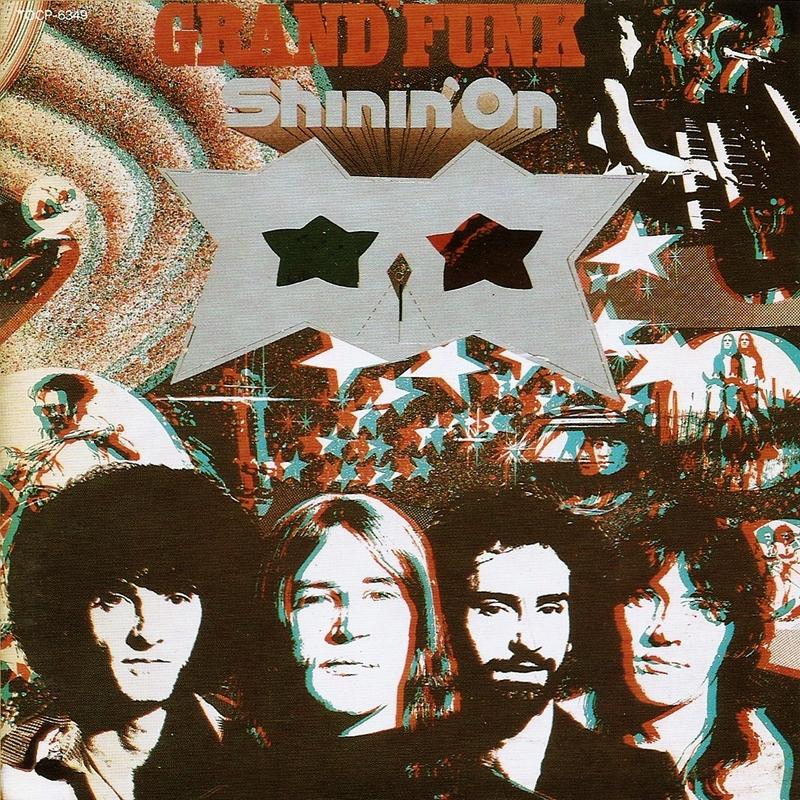 In the end, Shinin' On is too unfocused and uneven to win over non-fans but Grand Funk Railroad fans will find plenty to enjoy on this album.